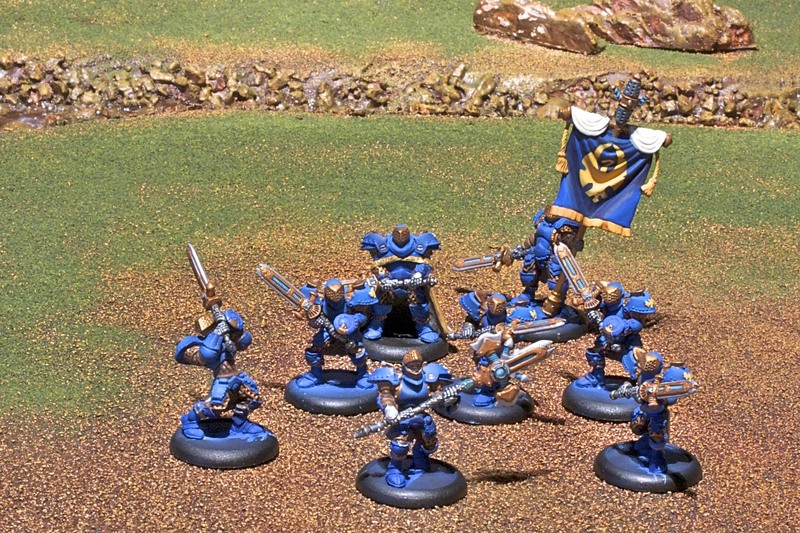 Stormblade Infantry with Unit Attachment | 30mm Madness! I’m pretty happy with the unit. 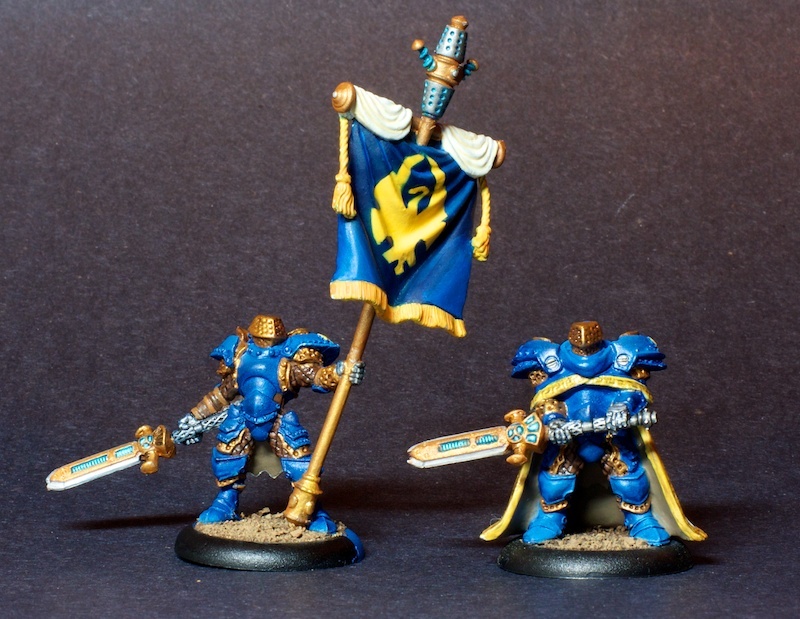 I used frisket film and an airbrush on the banner to get the cygnar symbol…which turned out pretty good. I’m not happy with the gold trim on the officers cloak… generally not in love with that model as I don’t have the skill to make it ‘pop’ in any interesting way. I really need to get my lighting optimized so I have whiter light and less shadows. Anyhow, I ‘finished’ my StormBlades (all my units are going to be based together at the end for consistency). Carrying them up the stairs to be photographed on the terrain board, the very top-heavy standard bearer and unit leader decided to jump. The standard bent back (more or less) to straight, but the unit leader’s blade was so tweaked it broke when I straightened it, so I had to break it off, file it straight, pin it, glue it, and then add some green stuff to reinforce. I’ll paint the greens stuff tomorrow after testing the strength. This makes 67 models painted and 51 to go. Going to airbrush base-color and highlight the Centurion and Hammersmith tomorrow night. This entry was posted on March 20, 2011 by justinhardin. It was filed under Unit, WarMachine .